Why and when should customers use the SAP Cloud Platform SDK for iOS? How to develop mobile apps once and deploy them to multiple mobile platforms (iOS, Android, Windows). With web technologies developing very fast, are there still limitations of the web-based approach? How does the new SAP Enterprise App Modeler fit into the picture? 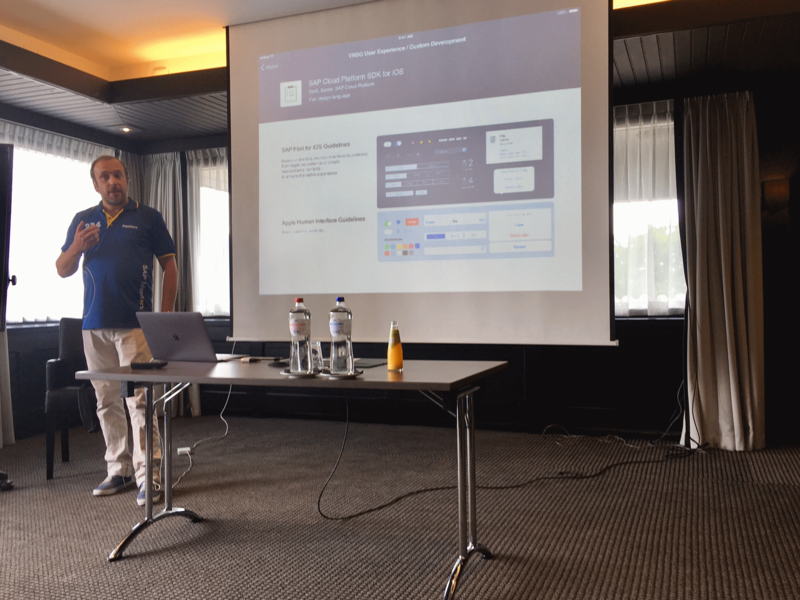 – These are some of the topics we discussed in the focus group meeting organized together by the VNSG User Experience and the VNSG Custom Development focus groups. 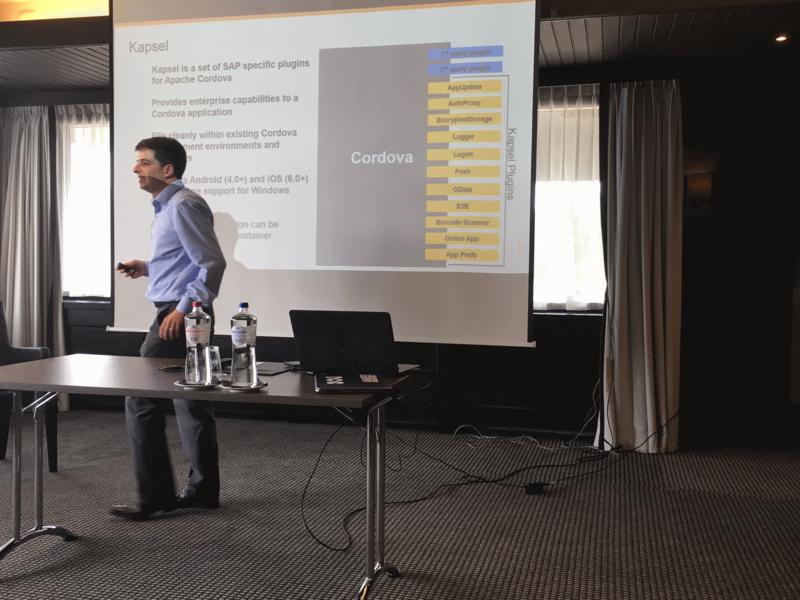 It was our honor to get a very interesting and detailed overview from Gerhard Henig (Vice President of Product Management, Mobile Platform at SAP), then I presented the hybrid approach, covering Cordova, Kapsel, SAP Cloud Platform mobile service, Fiori Mobile, etc. 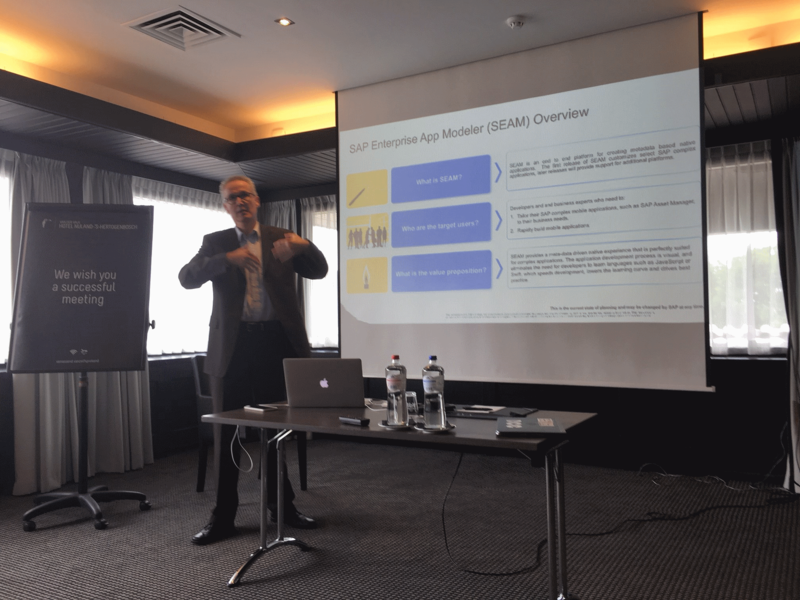 and then we got an excellent explanation of the SAP Cloud Platform SDK for iOS from Robin van het Hof. I personally enjoyed the last part of the meeting a lot, where we took an old, partially out-dated slide from me (From my 2015 Teched presentation EXP27358 Tips and tricks for building cross-platform [iOS, Android, etc.] mobile apps in SAPUI5) and together, in a very interactive session, we modified it and extended it. Here is the result. Already in the meeting we noticed some strong opinions, so I wouldn’t be surprised to get interesting comments on this blog. Please join the conversation and add your comment. We are always open for improvements of this matrix. Thanks to Henny Claessens, Marcel Hesen and Jan-Willem Kaagman, my partners in crime to get this meeting organized. Thanks for compiling this table. I would like to know why it is stated that Innovations cant be used Immediately for Metadata driven approach of SEAM ? My guess: Limited release – only select few friendly customers or internal SAP only customers or you may need to brand your SEAM client to add the business logic/application in it. Our understanding is that if e.g. Apple adds something new to a device (and releases APIs), a native app can use it immediately, but in a meta-data approach, it can be used only once the player allows it, which wont be immediate. Thanks for this awesome comparison. There are a lot of advantages of hybrid app development over native mobile app development. First of all, hybrid is a cross-platform technology that can run on different operating systems, unlike native, which requires separate development efforts for each operating system that the application will support. What’s more, hybrid apps can be deployed to different mobile platforms. However, hybrid apps are much slower than native, but the difference can be minimized when hybrid apps are build in a proper way following industry best practices.